Dr Yuanyuan Yin is Associate Professor, Design Management within Winchester School of Art at the University of Southampton. Dr Yuanyuan Yin is Associate Professor and Pathway Leader of MA Design Management at the Winchester School of Art, University of Southampton. She joined the University of Southampton in 2009. 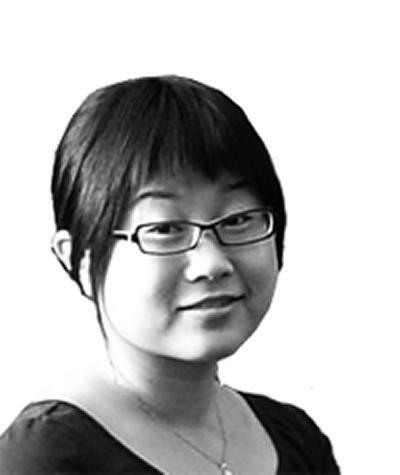 Yuanyuan completed her PhD in Design Management and MA in Design Strategy & Innovation from Brunel University, UK. She earlier obtained her B. Eng degree in Industrial Design in China. She is responsible for teaching in the key disciplines of design management, branding and design research. Her research has been concentrated on promoting business performance through developing design and brand strategies, understanding customers and users, supporting design collaboration, and improving innovation in product design. Yuanyuan has published 20+ academic papers in Design Management. As Principal Investigator, Yuanyuan has led research projects funded by University of Southampton and the Economic and Social Research Council. Dr Yuanyuan Yin is currently investigating the elderly's shopping experience in major supermarkets in the UK and in China. She works with large corporations such as Tesco and Sainsbury to determine the problem areas for the elderly shopper, and works on improving the design of the shopping environment. Currently, Yuanyuan is responsible for research and teaching in the key disciplines of design management, branding strategy design and design research. In particular, she undertakes research in design strategy and innovation management, design and brand performance measurement, service design for elderly consumers and sustainable design for SMEs. Customer experience design to promote elderly people's supermarket shopping satisfaction. Yuanyuan currently supervises 17 MA students' dissertations, and is working with one PhD student, Bedour Aldakhil on a thesis with the working title: 'Investigation of female consumers in Saudi Arabia'. Yin, Y., Qin, S., & Holland, R. (2011). Development of a design performance measurement matrix for improving collaborative design during a design process. International Journal of Productivity and Performance Management, 60(2), 152-184. Yin, Y., Holland, R., Qin, S., & Wu, W. (2008). Development of a customer experience-based brand strategy for the Lenovo Group to explore the UK market. Design Management Journal, 3(1), 60-68. Yin, Y., Qin, S., & Holland, R. (2006). Conceptual model of a web-based design performance measurement and management system. Proceedings - Performance Measurement and Management: Public and Private, 833-840. Holland, R., Yin, Y., & Qin, S. (2008). Customer experience-based brand strategy at the Lenovo group - exploring the potential for Lenovo in the UK PC market. In R. Jerrard, & D. Hands (Eds. ), Design Management: Exploring Fieldwork and Applications (pp. 168-195). Oxford, UK: Routledge. Yin, Y., & Qiu, S. (2018). 文化产业之社会责任: 全球老龄化背景下的中国老年消费者超市购物体验研究与设计. In 文化产业研究 (期刊） (Vol. 17, pp. 65-75). Nanjing University Press. Yin, Y., Qin, S., & Holland, R. (2011). A role-based design performance measurement matrix for improving design performance. Paper presented at 1st Cambridge Academic Design Management Conference, United Kingdom. Yin, Y. (2011). An ethnographic approach towards understanding the food shopping experience of the elderly consumer. Paper presented at Tsinghua-DMI International Design Management Symposium 2011, Hong Kong. Yin, Y., Qin, S., & Holland, R. (2009). Using design performance measurement as a strategy to improve collaborative design performance. 389-399. Paper presented at D2B2: Tsinghua International Design Management Symposium, . Yin, Y., Qin, S., & Holland, R. (2008). A 3D design performance matrix for product design and development. 221-228. Paper presented at 5th International Forum on Knowledge Asset Dynamics (IKFAD 2008), . Yin, Y., Qin, S., & Holland, R. (2008). Development of a project level performance measurement model for improving collaborative design team work. In 2008 12th International Conference on Computer Supported Cooperative Work in Design (pp. 135-140). IEEE. Yin, Y., Holland, R., Qin, S., & Wu, W. (2006). Development of a customer experience-based brand strategy for the Lenovo Group to explore the UK market. In A. J. Williams, D. Hands, & M. A. O'Brien (Eds. ), Proceedings: D2B - The First International Design Management Symposium, Shanghai 2006 (pp. 384-397). Adelphi Research Institute for Creative Arts and Sciences. Yin, Y. (Author). (2017). Design for Future: Retail Frontiers. Exhibition, Silver Shoppers Project. Yuanyuan supports the teaching objectives of the School by delivering a range of teaching and examining activities, including curriculum design, timetabling, lectures, setting/marking coursework, tutorials and supervisions (MA and PhD) according to design management, branding and design research methodology.